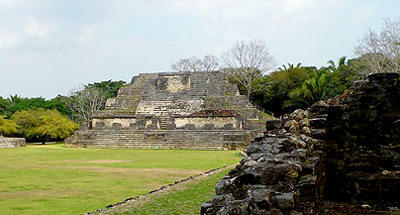 At this site, you will find the tallest mayan structure in Belize, standing 46 meters tall. 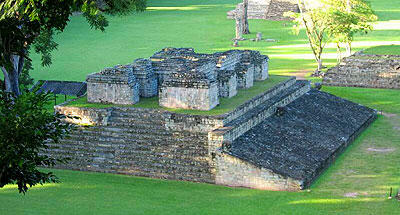 Its alliance with Calakmul, led to the subjugation of Tikal. 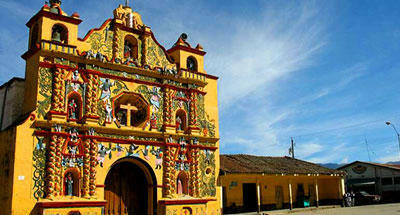 Caracol also burst into the history of the Naranjo, intervening in its dynastic kingdom. 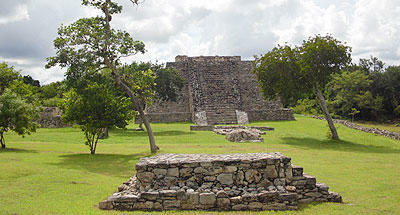 It is emphasized as the most important site in Belize. Posessing the largest temple in the whole country: "Caana", approximately 46 meters tall. 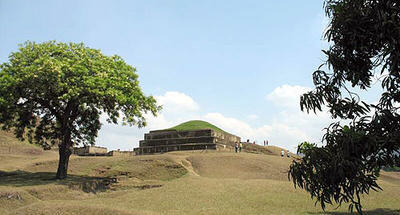 With this structure it was possible to find the archeaological site of Benque Viejo, also called Xunantunich. 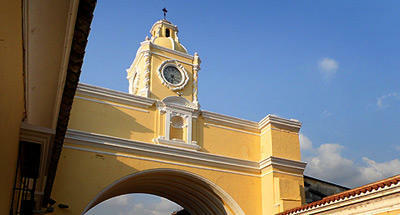 The location of Caracol is integrated with five plazas, with thousands of structures and an astronomical observatory. This city is distinguished by its very large altars. To this date there have been 18 found in total, each with huge glyphs. To the present day this site is emphasized by its central acropolis, and two playing fields for mayan soccer, along side the diverse structural ruins. The value of Caracol does not only reside in its beauty, but also in its incomparable track in history with powerful characteristics that it manifested over Tikal and Naranjo. With out a doubt, Caracol played an important role in the history of the mayan cities and ceremonial centres of Peten, in Guatemala, permanently changing the balance of power. 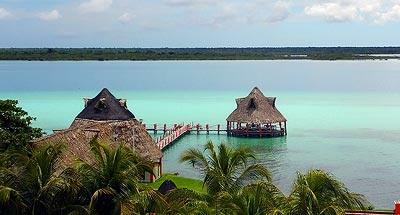 Its role helped to fulfill the inclining balance in favour of Calakmul, in its conflict against Tikal. It is evident of the initial relation with Tikal, marked by the wake #14, with a ceremony that was carried out under the protection and support of this enormous city in the north of Peten. Records show that the relations with Tikal started to fall years after, with a social-political event of great importance, that lead to the execution of an elite person of Caracol. A little while after, Calakmul participated in a confrontation with Tikal. The monuments indicate that the alliance was broken with the governor of Tikal, Wak Chan K'awiil, who years before, with certainty, would have supported the power of Yajaw Te'K'inich 2 de Caracol. This confrontation happened in 562, and was marked in history as the defeat of Tikal. Caracol realted this information in wake #21, as the loss of power of Tikal. There is no further mention of Wak Chan K'awiil from this point on. 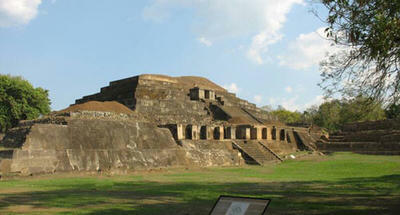 The archaeological site of Caracol was know through the modern world from 1938. 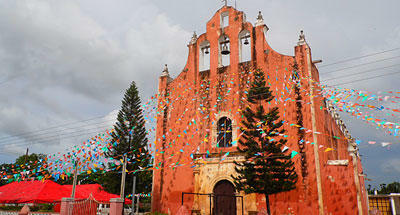 It is located in the area Chiquibil ,with the surrounding natural selva ambiance. In 1985 the University of Central Florida started a series of investigations. It is calculated that the population reached 200,000 habitants. 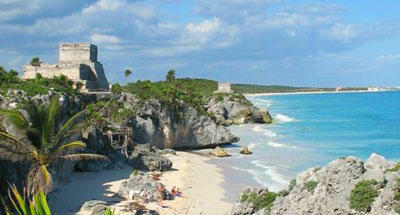 The complex is enormous, and is close to 170 square kilometers. 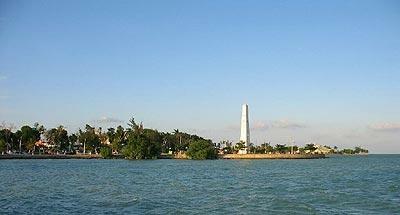 The wakes at this site, describe the dynasty of governors that ruled the city. It is speculated that the original name was Oxhuitza. Caracol is found approximatly 24 kilometers from Xunantunich (Benque Viejo), also in Belize, and is generally part of the archaeological tourist circuit.